I decided to go ahead and whip through the front bands of the Rocky Coast before getting back to the Aurentium Blossom, so now all I have left are the sleeves. 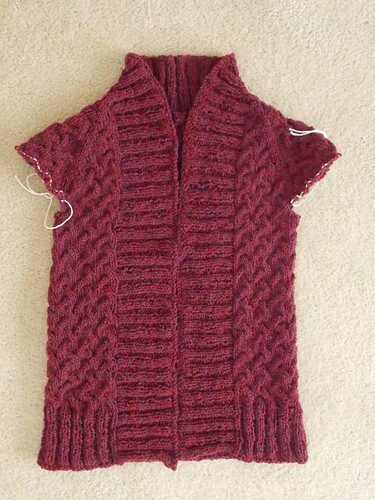 I tried it on (again) after finishing the bands and this is going to be a great, oversized, warm cardigan. Now I just have to hope that Winter shows up this year (it didn't last year) so I can wear it! Okay, now I really have to make one!